Fried Center for the Advancement of Potential (FCAP) provides evaluation, training, and oversight for the development of individuals with intellectual disabilities, including Special Olympic athletes, through sports enhancement and performance training using physical therapy, adaptive sports education, diet, and hygiene. Special Olympics of Virginia will identify athletes, who, it believes, could benefit from FCAP services. These services include both on-site training at the facilities and the development of a program for training and diet at home. 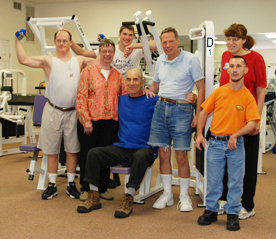 Recognizing that persons with intellectual disabilities present a unique challenge to improving their athletic and developmental performance, the professions of physical therapy and strength and conditioning will be combined to treat them. 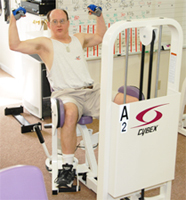 The goal of the Fried Center is to help those persons with intellectual, and the often times associated structural disabilities, reach their maximum potential – allowing them to achieve fitness for life and to advance their full potential as athletes in any sport through exercise and training designed to improve body function. FCAP is incorporated in Virginia and has applied for tax-exempt status under Section 501 (c) (3) of the Internal Revenue Code. It is not a Special Olympics or Innisfree sponsored activity, but those organizations as well as the Curry School of Education at the University of Virginia participate through the membership of FCAP's Board of Directors. The goal of Special Olympics Virginia is to advance the skills and capabilities of persons with intellectual disabilities and, just as importantly, to advance society's understanding and acceptance of their abilities.